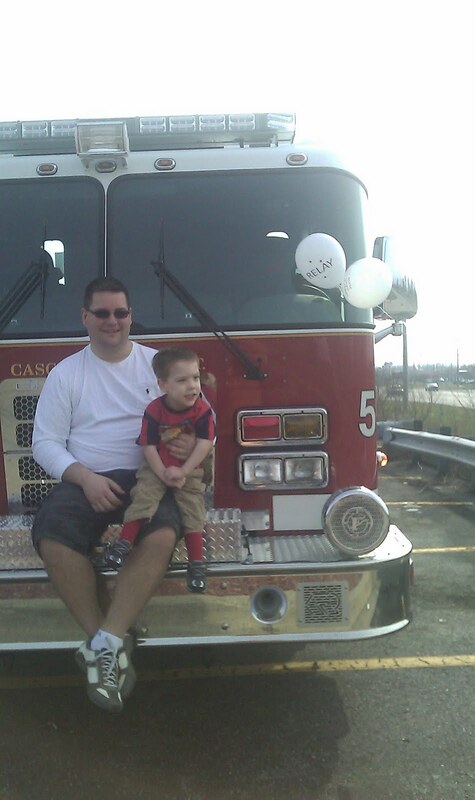 From having his eyes examined to examining a big fire truck was on the agenda for the weekend. Our local fire department hosted a "Relay for Life" breakfast at Applebee's restaurant Saturday morning. Chris, Jane & Cam dined out on delicious scrambled eggs, pancakes and bacon. 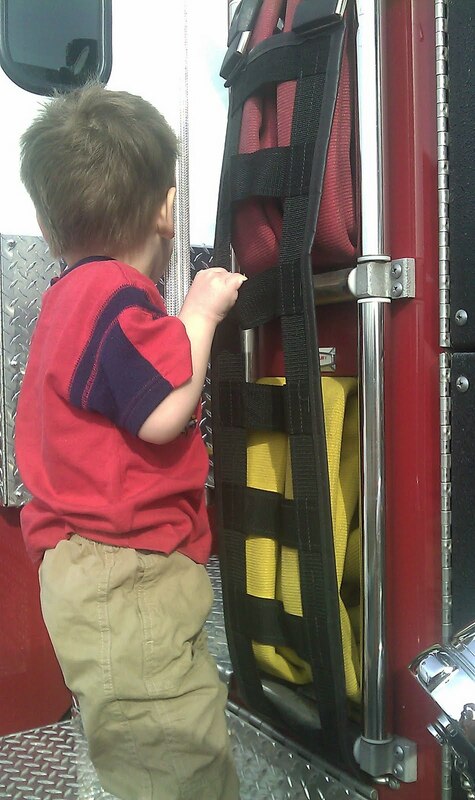 Afterward, Cameron had fun exploring the different parts of the fire truck. To round out the weekend, the family was so happy to finally see their cousin, Coco, again. And she brought along a special visitor- a new puppy named Olive!